One of the most noteworthy GRAMMY performances this year featured Macklemore & Ryan Lewis, Mary Lambert, Madonna, Queen Latifah, Trombone Shorty, and the marriage of 33 diverse couples in a celebration of love and tolerance. In truth, the GRAMMYs are always a great marriage — of music, entertainment and the recognition of the year's best artistry. But this year, it was also a marriage of Daft Punk, producer Pharrell Williams, Macklemore & Ryan Lewis, and GRAMMY voters as the EDM and rap duos and producer scored four awards each to top all winners. 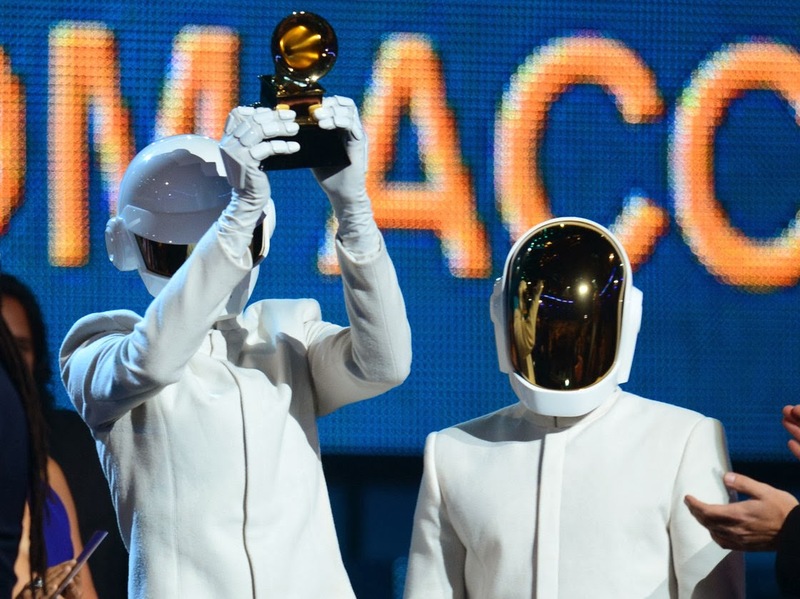 Daft Punk earned their GRAMMYs for the coveted Album Of The Year category for Random Access Memories and Record Of The Year with Williams and Nile Rodgers for "Get Lucky." Random …also won Best Dance/Electronica Album and "Get Lucky" took Best Pop Duo/Group Performance. Meanwhile, Macklemore & Ryan Lewis' haul included Best New Artist, Best Rap Performance and Best Rap Song for "Thrift Shop," and Best Rap Album for The Heist. Williams earned his awards as an artist and producer on Daft Punk's Record and Album Of The Year and Best Pop/Duo Group Performance wins, as well as Producer Of The Year, Non-Classical honors. Additionally, engineer Bob Ludwig also won four awards, taking GRAMMYs for mastering Daft Punk's Record and Album Of The Year winners. He also was recognized for Best Historical Album for mastering Charlie Is My Darling — Ireland 1965, which chronicles a Rolling Stones tour of the emerald isle from that period, and Best Engineered Album, Non-Classical for mastering Daft Punk's Random Access Memories. Justin Timberlake won three trophies for Best R&B Song for "Pusher Love Girl," Best Rap/Sung Collaboration with Jay Z for "Holy Grail," and Best Music Video again with Jay Z for "Suit & Tie." Chic leader Rodgers also won three GRAMMYs on the strength of Daft Punk's big night, earning trophies in the Album Of The Year, Record Of The Year and Best Pop Duo/Group Performance categories. Jay Z won two for the aforementioned collaborations with Timberlake. New Zealand rookie Lorde won two GRAMMYs: Song Of The Year for "Royals," which she co-wrote with Joel Little, with the tune also taking Best Pop Solo Performance. Country newcomer Kacey Musgraves took two awards: Best Country Album for Same Trailer Different Park and Best Country Song for "Merry Go 'Round," which she co-write with Shane McAnally and Josh Osborne. Tye Tribbett was also blessed with two GRAMMYs for Best Gospel Song for "If He Did It Before … Same God [Live]" and Best Gospel Album for Greater Than [Live]. Others who doubled up on GRAMMY wins were classical producer David Frost, Dave Grohl and Paul McCartney. Other notable awards went to Terri Lynne Carrington, who in accepting the Best Jazz Instrumental Album GRAMMY for Money Jungle: Provocative In Blue, pointed out she was the first woman to win in the category. And Best Latin Rock, Urban Or Alternative Album winners La Santa Cecilia celebrated the fertile creative soil tilled by the mixing of cultures, with vocalist Marisol Hernandez declaring, "Migration is beautiful!" "Please Come Home" by Gary Clark Jr.